Recently I stumbled across a video on Youtube of a 2016 speech I gave at St. Matthew the Apostle Cathedral in Washington, DC. (It's at bottom of this post.) My address was leading up to the U.S. National March for Life in the nation's Capital city. I entered the Cathedral. The art took my breath away. Stunning! 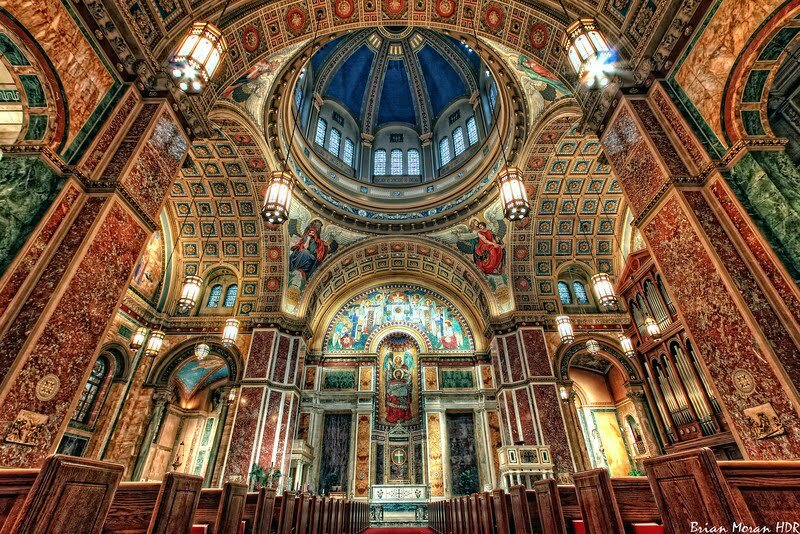 Established in 1844, St. Matthew Cathedral is an American historic site and repository of art and sculpture at its best. HERE RESTED THE REMAINS OF PRESIDENT KENNEDY AT THE REQUIEM MASS, NOVEMBER 29, 1963 BEFORE THEIR REMOVAL TO ARLINGTON WHERE THEY LIE IN EXPECTATION OF THE HEAVENLY RESURRECTION. And so I began my speech to pro-life Americans -- some of the finest citizens any nation can have -- who came to Washington from across the Union. A blizzard was descending on the city but it did not deter hundreds of thousands of people marching in the streets to speak up for the sanctity of human. They called upon legislators to overturn Roe v. Wade that has been responsible for the abortions of 58 million preborn babies. They spoke out against acceptance of euthanasia and assisted suicide. 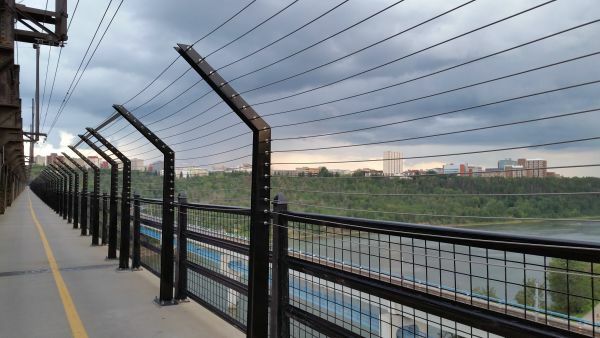 The Canadian city of Edmonton spent $3 million on a fence across a high-level bridge over the North Saskatchewan River. It is intended to prevent suicidal people from jumping off the bridge. Happily, the fence has been successful in that regard. Although progressives don't see a philosophical or ideological contraction to the fence, let me play devil's advocate (after all, most of Canada's, politicians, mainstream liberal media and government élites are doing his bidding). If suicide is an exercise of personal autonomy, doesn't the fence obstruct people's right of autonomy? 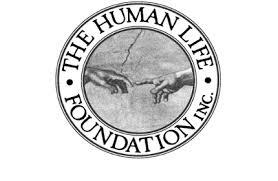 "... we do not agree that the existential formulation of the right to life requires an absolute prohibition on assistance in dying, or that an individual cannot "waive" their right to life. ... The sanctity of human life is one of our most fundamental societal values. 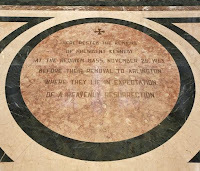 Section 7 is rooted in a profound respect for the value of human life. But S7 also encompasses life, liberty and security during the passage to death." "Underlying both of these rights [liberty and security of the person] is a concern for the protection of individual autonomy and dignity." 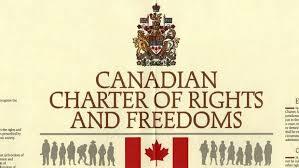 Citing a British Columbia Human Rights Commission ruling they agreed that liberty protects "the right to make fundamental personal choices free from state interference." Although the Supreme Court Justices were dealing with assisting the suicides of disabled and sick Canadians, surely the principal of making autonomous choices on matters of life and death apply to all Canadians, under this new legal model. To be consistent in the Brave New Canada under the Supreme Court's vision, shouldn't suicide prevention fences like the one in Edmonton be taken down, suicide prevention telephone hotlines across the country unplugged and suicide prevention programs stopped? After all, they impinge upon Canadians freedom to decide the time and place of their own deaths and make autonomous choices. But I don't think consistency is what the Supreme Court's had in mind with their deplorable ruling. The Canadian Supreme Court ruling and subsequent federal assisted suicide law are intended exclusively for the disabled and sick. 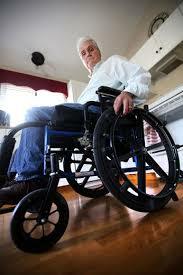 Medical killing of the disabled has been sold with the deceptive, saccharine euphemism medical assistance in dying. It sounds so civilized and compassionate. Medical assistance in dying is actually called palliative care. What was legalized was medical killing. The Supreme Court's assisted suicide decision and subsequent so-called progressive legalizing of assisted suicide dealt a serious blow to hard-won disability equality. People like me have sought for more than thirty-five years to advance the cause of people with disabilities being treated as equals with the rest of the population. We fought to be equal in law, social policy promoting inclusion, health care, and every facet of society. The new law treats Canadians with disabilities as lesser citizens undeserving the same protections as the rest of the population. It seems that the progressives are, in fact, regressive. What Canada has now is suicide prevention for healthy and able-bodied Canadians while Canadians with disabilities and incurable disease get assisted suicide. 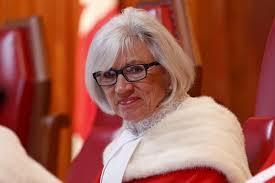 It gives new symbolism to the Justices' blood-red robes! 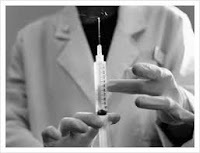 Canada's new law will be eventually challenged by some depressed or mentally ill person who wants to be euthanized. They will say they don't want to risk trying to commit suicide by their own hand for fear of bungling the attempt and ending up in a worse position. They may say their emotional and psychological suffering is as great or greater than my physical suffering. And who are you or me, or judges in ivory towers, to say it is not?! A legal Rubicon has been crossed, a Pandora's box has been opened, the genie will not go back into its bottle. Tear down the fences that hamper 'choice'! 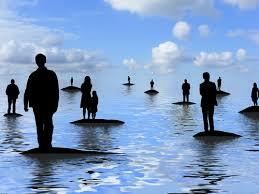 Welcome to the darkening and indifferent world of unfettered personal autonomy. It is the natural and absurd conclusion to a regressive world of progressives, in all its callous splendour. God help us. My favourite portrayal of the life of Christ is the 1977 television mini-series, Jesus of Nazareth. That Emmy award-winning production had an all-star cast including Robert Powell (Jesus), Olivia Hussey (the Virgin Mary), Sir Laurence Olivier (Nicodemus), Sir Peter Ustinov (Herod the Great), Christopher Plummer (Herod Antipas), Rod Steiger (Pontius Pilate), just to mention a few. 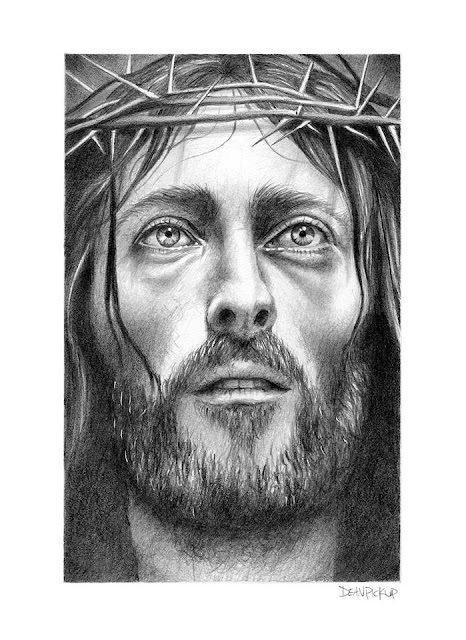 It was Robert Powell's portrayal of Jesus that moved me. It was outstanding! Not only was his acting exquisite, Powell's appearance was closest to the face of Christ in my mind. My son, Dean, knows this. He is an extraordinarily talented and successful artist. 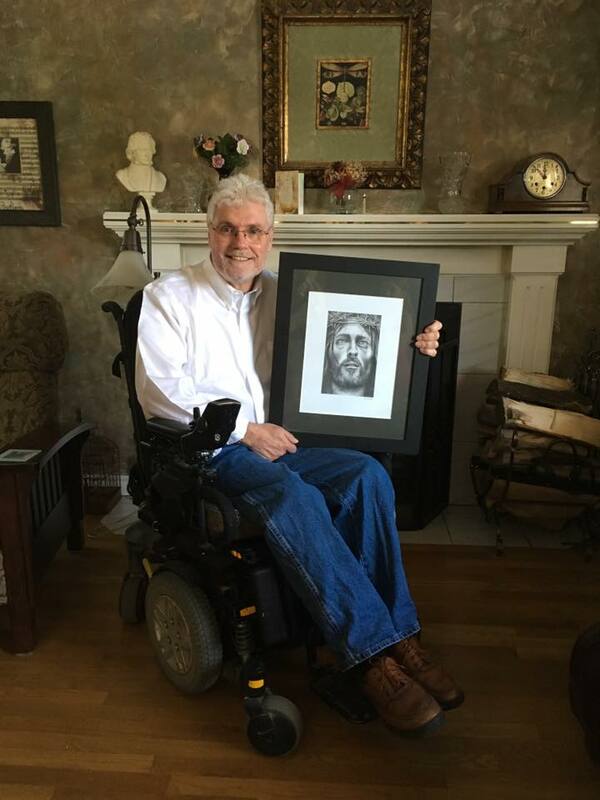 For my 64th birthday, Dean drew that rendition of Christ for me, in pencil. (See image at the top of this post.) I was deeply moved when he presented me with his original sketch of this powerful image from Jesus of Nazareth. Now you can own a high quality print of Dean's Jesus of Nazareth for your home or use for a fundraising auction in support of your favourite charity. Numerous charities have used various other pieces of Dean's art for auction. Without exception, it has been successful. Dean provides you with a framed print free. If there are no bids, you simply return the print to Dean. It costs you nothing (other than postage). You purchase a set quantity of prints (discounts for bulk orders). You sell them for a price set by you. This is the Master's commandment. It is not a suggestion, it is a command as plain as the crooked nose on my face. Why? God is love. 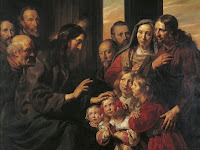 For more perspective about the love Christ spoke about, read the 4th chapter of 1John verses 7-21. The Apostle John reinforces and affirms Christ's words. The Divine love of God is expressed in His Son. It can change people forever as they discover new dimensions of their lives that God intended when He endowed them with His image and likeness. Joy is the sweet fruit as they discover in their divinely intended meaning and purpose. All people need to love and be loved. And they need to know they are loved. After more than 33 years of aggressive multiple sclerosis, the why of my suffering has finally been answered: The answer is found in the Divine love of Christ (just as it is for you). By surrendering my brokenness to Him, something mysterious and wonderful has begun. Despite my wheelchair and massive flaws of character, I am being slowly transformed to be more like Him! I'm being prepared for eternity. This is not unique to me. Millions of people throughout the past 2,000 years have discovered this transformation through a personal relationship with the risen Christ. He is the source of all dimensions of Divine love. All other love is either stunted or counterfeit. We must love God with our whole being. But it does not stop there, we are to love our neighbour as ourselves. There is a natural flow from the first to the second (or there should be). Dare anybody ask the cynical and dismissive question: "Who is my neighbour?" Jesus answered that ancient question in the Parable of the Good Samaritan. Humanity desperately needs the reality of Jesus Christ, and to be transformed by His love to become children of God. Christians are called to love, at home and abroad. We are to love others wherever we meet them. Hear their silent cries for love, and respond with love. For example, there are hundreds of thousands of North American children adrift in foster care. Many need a home and permanent Christian family to call their own -- a family where they find belonging and unconditional love. They need to grow and blossom. Have you considered a domestic adoption? Do you know there are an estimated 147 million abandoned and orphaned children in the world? Their need for love and care is immediate and acute. 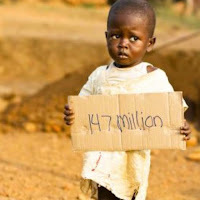 Orphans are some of the most vulnerable people on the planet! They need to love and be loved. They long for belonging. Have you considered an international adoption? Do you have love to give but can't afford it financially? Ask your church family to help sponsor your adoption. 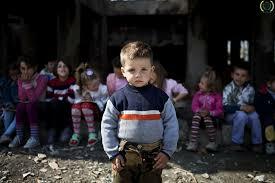 It may take a village to raise a child, but what happens when the village is abandoned or broken down? It takes a family to care for and protect an orphan or abandoned child. God gives us the example: Through faith in Christ, we spiritual orphans are adopted as children of God. Can you mirror God's example and make room at your family table for another child? My daughter and son-in-law are in the final throes of adopting a child from Haiti. I could very well meet my new grandchild by Christmas. What a glorious Christmas it will be! A little child will be immersed into the love of our family. Love grows. Perhaps a cynic is thinking "That's only one child! You can't save the world." No, but we can save one child's world forever. And that child will change us forever. (Make sure your sound is on for the video below. Also see Leviticus 19.18; Matthew 5.44; John 15.17; Romans 12.10, 13.8-10; Gal 5.14; Ephesians 5.2, 1 Thessalonians 4.9. Compare with Galatians 6.2; 1John 2.8-10, 3.4,18,23; 2John 1.5.